Discover the stories of our region’s past. Itinerary highlights: fabulous food and fascinating heritage sites. 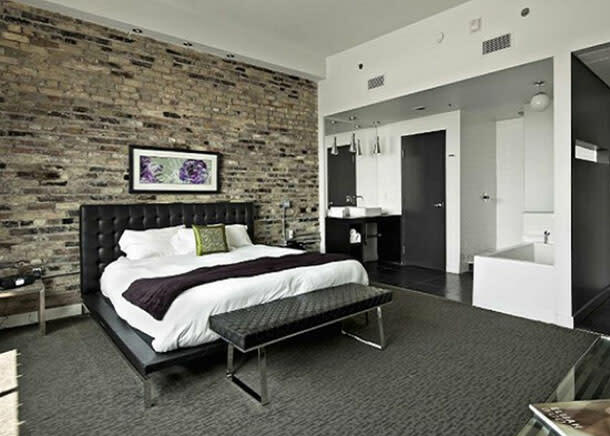 Check into the Hotel Metro in London, which offers a boutique hotel experience where you can relax, enjoy and dine within steps of the Budweiser Gardens, the historic Covent Market, Grand Theatre and many of London’s best restaurants and bars, including the famed Richmond Row. An architectural blend of modern and historic design complements this private 20-room hotel that delivers personal service during your stay and eclectic menu at its Blu Duby restaurant and bar. For dinner, head to The Only on King, which was recognized by enRoute magazine as one of Canada’s top 10 new restaurants in 2008. The Only on King offers an ever-changing, locally sourced daily menu. Chef/owner Paul Harding is guided by a farm-to-table philosophy and a cooking repertoire that is classic, clean and both rural and modern. Reservations are recommended. 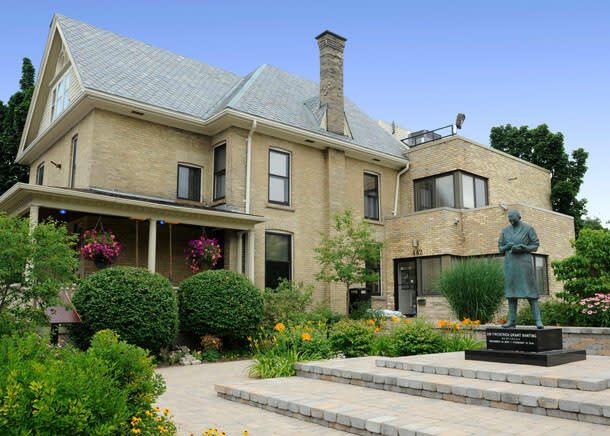 After enjoying a casual breakfast at your hotel, check out of your room and head to Banting House National Historic Site of Canada to learn more about the legendary Sir Frederick Grant Banting and the most important medical discovery of the twentieth century – insulin. Next, visit London’s most popular culinary attraction, Covent Garden Market. Open daily with indoor fruit, vegetable, meat, cheese, chocolate and flower stalls alongside restaurants, take-out counters and a myriad of other purveyors, the market also offers a seasonal producer-based Outdoor Farmers’ Market on Thursdays and Saturdays, starting at 8 am. Take a leisurely stroll through the market and pick up some of your favourite treats for a casual lunch. Next, travel north to Lucan, to learn more about the legend of the Donnelly family at the Lucan Area Heritage & Donnelly Museum. This legendary family emigrated from Ireland to Canada in the mid-1800’s and were involved in a notorious feud in Middlesex County that culminated in a massacre in which five family members were killed. According to local lore, the ghosts of the murdered family members can be seen floating in the fields near the murder site and horses will not ride past the former Donnelly homestead after midnight. Head to downtown Strathroy’s historic Clock Tower Inn for a perfect place to unwind for the evening. Built in 1889, it was designed by Thomas Fuller, the architect for Canada’s Parliament Buildings. On the main floor, you will find The Strathroy Ale House & Pub, where a post office and Customs House once resided. Known for its wide selection of fresh and local pub fare, this dining institution is the ideal place for you to enjoy dinner before calling it a night. Start your day at The Family Table restaurant in Strathroy for a fresh approach to breakfast. Chef/ owner Chris Podgornik uses only real ingredients to make your breakfast or lunch experience a memorable one. After a leisurely breakfast, head to Dresden to visit one of the most poignant stops on Ontario’s Underground Railroad tour, Uncle Tom’s Cabin Historic Site. Uncle Tom’s Cabin displays the life story of one of history’s most famous black slaves, Rev. Josiah Henson. Henson&apos;s dramatic experiences in slavery and his abolitionist work in Canada helped make him renowned throughout the world. 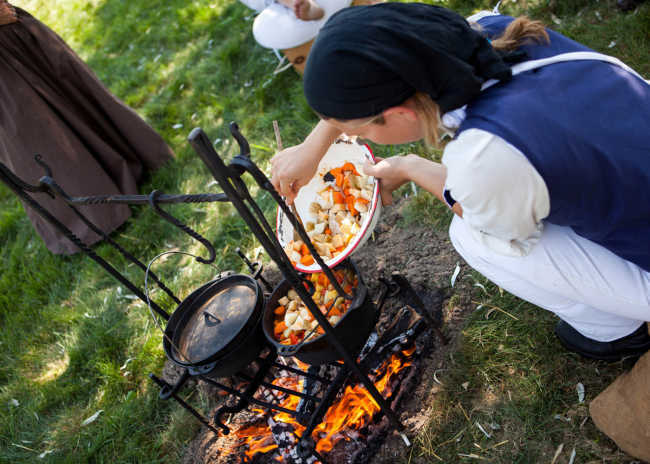 Then, make your way to Thamesville to visit the site commemorating the War of 1812’s Battle of the Thames and the death of the great Chief Tecumseh. Enjoy a late surf and turf lunch in Erieau at Molly and OJ’s where the fresh Lake Erie Yellow Perch and Pickerel are legendary!